One of the most frequent questions we get asked as décor editors has to be "What color should I paint my room?" With paint companies often offering north of 3000 color options, the seemingly endless number of choices can be overwhelming. Best intentions in mind, we try to get a feel for what people actually want—a muddy rose, putty gray, or a crisp white? We make recommendations based on our knowledge of factors like undertones and current paint color trends—while stressing the importance of testing a few tones on the walls before committing. Despite our best efforts, choosing a paint color can be an important and overwhelming decision for many—but not for paint experts. Marketing managers, heads of creative, and designers in the paint world spend their careers studying the science that goes behind every paint chip on the market—from the pigments to the formulas that go into making a can of paint that's ready to take home. With knowledge of the chemistry that goes into every color, these experts can easily make a snap decision on a paint color based on the direction of windows, the type of lighting in a room, or the size of a space. To make the decision process less daunting, we chatted with a handful of paint experts who taught us exactly how to make better paint decisions for our homes. We promise it doesn't have to be an overwhelming process: "If nothing else, you owe it to yourself to try something fun," says Jamie Davis, co-founder of Portola Paints. "Regardless of what your friends think. It’s just paint! You can always repaint it." Before painting your next room, consider these wall paint ideas and you'll never get it wrong again. "Consider your home's floor plan during color selection," advises Ashley Banbury, senior designer for HGTV HOME by Sherwin-Williams. "Using a common transitional color can create a cohesive flow throughout the rooms. This can be achieved by selecting the same color for the connecting spaces like hallways and entries. Be mindful of your views and sight lines, if you can see into a connecting space select a color that complements the room's color." "Don't only think of the room you're decorating," adds Charlotte Cosby, head of creative at Farrow & Ball. When deciding on colors for your home, adjoining rooms should definitely be a factor as the rhythm and flow of any household is very important. Selecting paint colors should create a cohesive flow so that your home does not feel disjointed." To achieve a cohesive look, Dee Schlotter, senior color marketing manager at PPG Paints, recommends starting centrally: "You can begin by selecting your ideal hue for the largest and most centrally located space, most likely the living room, and coordinate additional colors from there," she says. 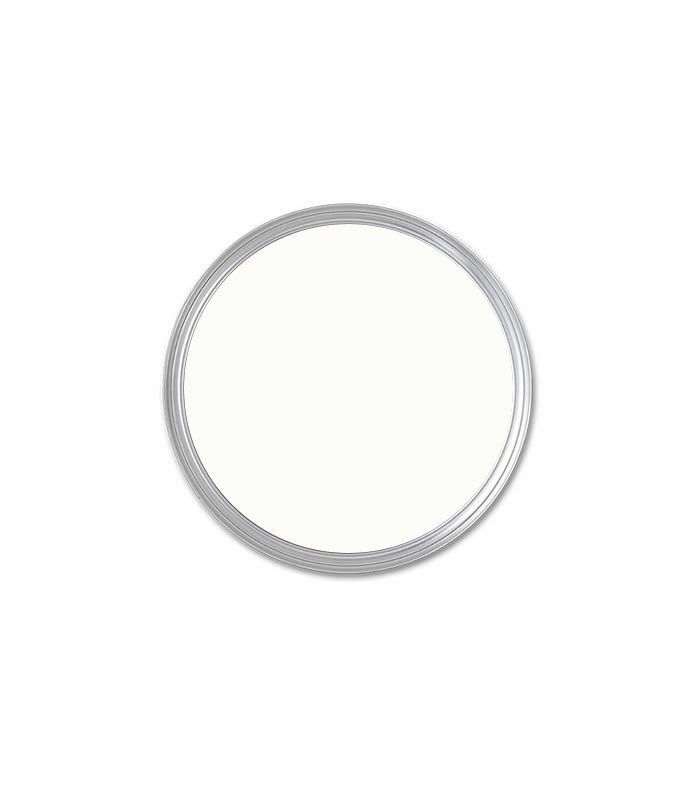 "A good white paint should first and foremost be bright white," says Jennie Gerardot, assistant product manager at HGTV HOME by Sherwin-Williams. "A nice creamy white like Alabaster can read sophisticated and elegant, while a cool gray-white can easily complement a contemporary space." "Like all of our colors, our whites have different undertones," adds Cosby. "The key to picking the right white is taking the time to understand how these undertones will affect the space you are decorating, as well thinking about the look and feel you want to achieve. You should choose a white with undertones that are sympathetic to the fabric, artwork, or existing paint colors you are trying to complement. If your room looks out onto your garden, choose James White with soft green undertones to complement the organic look. If you have a blue fabric, then choose a white like Cabbage White which has gentle blue undertones." "White paint is such an important component to design," says Jamie Davis, co-founder of Portola Paints. "It is the palate cleanser that will make other colors shine. The perfect white can't be too creamy, but also not too cold. For me, White Cliffs by Portola has a perfect balance." When choosing a finish, experts stress the importance of paying attention to the function of the space. "Use a satin or semi-gloss sheen in an area with high traffic, such as on a kitchen cabinet or a bathroom," recommends Brian Osterried, product marketing manager at PPG Paints. "If using a lower sheen, such as a flat paint, the area will require more frequent painting, as paints with lower sheens are less durable. Typically, the higher the gloss, the higher the durability." "Satin or semi-gloss sheens would be best suited for a bathroom as these sheens tend to be very washable and easy to keep clean," adds Gerardot. "You may also want to consider a paint that has a mold and mildew-resistant finish. No matter what sheen you choose, it is recommended to select a paint that has excellent stain-resistance properties." Glossy finishes have become less popular in recent years, especially for walls with uneven textures, so some paint companies have started offering alternatives: "Farrow & Ball's Modern Emulsion is perfect for bathrooms and kitchens, as it is hard wearing," says Cosby. "With complete washability, stain and scuff resistance, Modern Emulsion is the ultimate high-performance alternative to our signature Estate Emulsion. 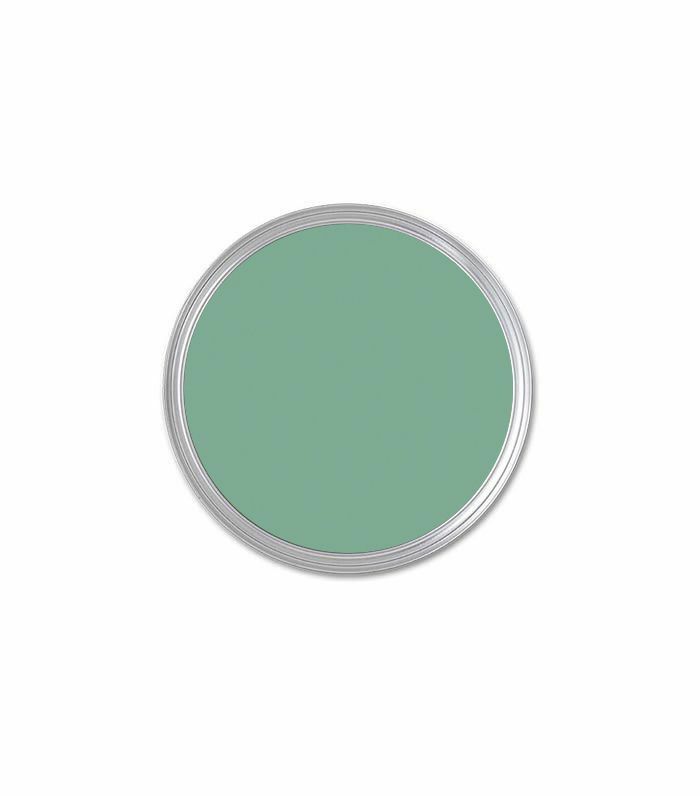 With a low sheen, it still maintains the sophisticated flat matte finish and depth of color that our paints are known for, making it a logical and visually appealing choice for areas of high usage within the home." "Ceilings don't always need to be white," stresses Schlotter. "In fact, it is distracting if ceilings are white if there is no other white in the room. Consider the other elements in a space to pull in a complementary color for the ceiling." Banbury agrees: "If you would like to add a splash of color on the ceiling, select a color that can be found in the room's accessories." One of the most important questions you should ask yourself when choosing a ceiling paint is Do I want to heighten or lower the ceiling? "The height of a ceiling is determined not just by the color, but by the contrast between the wall color and the ceiling color," explains Cosby. "If you have a colored wall and you paint the ceiling a bright white, your eye will be drawn to the strong contrast between the two. You become very aware of where the walls end and the ceiling begins, thus the perceived ceiling height drops. If, however, you use a white that is sympathetic to your wall color, the change from wall to ceiling will seem more organic, and you will be less aware of where the wall ends—and then the ceiling feels higher. To heighten low ceilings, choose a light cool white like All White, and to make a high ceiling appear lower, choose deeper and warmer off-whites like String." "When it comes to choosing the color of the woodwork in your home, we recommend choosing a single color throughout the house, as this is the easiest way to create a cohesive feel," says Cosby. "Similarly to choosing a ceiling color, the hue should be sympathetic to the walls surrounding it, so as not to draw too much attention to the structural elements of a room, which in turn can make the space feel smaller. For those looking to add a dramatic flair to their home, using dark colors on woodwork can achieve just that, but once again the dark hues should complement the wall colors so that room doesn't feel constrictive." For Schlotter, choosing the trim color all depends on the feel you're trying to achieve: "If you want to de-emphasize the trim within the space, paint it the same color as the wall color so that it disappears. To highlight your trim, paint it in a contrasting color to the wall, either lighter or darker. One rule of thumb is for darker colors on the wall, you should select a darker white for the trim. This helps to soften the look versus using a clean, bright white." "There is a common misconception that the only way to open up a small room is to use light colors like white and pale yellows," says Cosby. "In small rooms, we recommend using bright, bold hues, as they can make a space feel more expansive so the room stands out, as opposed to appearing drab and lifeless. It can be really effective to embrace the darkness of a small room by using strong, darker colors to create a dramatic, intimate feel." Most experts have a penchant for dark colors in small rooms, like Davis explains: "I like the idea of embracing a small space with a deep, moody hue," he says. "Small spaces don’t always have to be painted bright white to make them feel bigger." "No matter the color you select for your small space, utilizing one color for all walls in a space makes it feel larger," adds Schlotter. "Choose a warm and rich or soft and soothing hue, and surround the space with it, including the ceiling. One unified color fades defining lines, which enhances the coziness of the space and makes it feel larger." "Consider the natural light in your house for each room you are going to be painting," says Davis. "For example, a south-facing room will be bathed in warm natural light for most of the day and can be really fun to experiment with, while a north facing room will read cooler and darker. Embracing a dimly lit room with a deep, saturated color can create a cozy nest feeling. If you are fortunate enough to have great natural light your options are much broader. You can go warm, cool, light, or dark. The challenge is designing a space that doesn't get good natural light. You have to consider your light source when choosing color." Cosby is also a firm believer in choosing a paint color according to the direction windows are facing in the room: "North-facing rooms can be difficult to decorate, as they are naturally darker," she explains. "In these spaces, we advise to use strong color and embrace what nature has given. Brinjal and Charleston Gray can all be used to create drama and intimacy. South-facing rooms are much easier to decorate as the quality of light means you can use both cool and warm colors and both will look good! By choosing paler tones—like Pavilion Blue or Borrowed Light—you can really maximize the feeling of light. The light in east-facing rooms can appear a little blue, so it's best to use watery blues and greens to maximize this effect. West facing rooms have a beautiful warm light in the evenings; choose whites like Slipper Satin on even Middleton Pink to embrace this glow without losing too much light." Schlotter adds that it's also important to take into account the type of artificial light in the room: "Your paint color will look different in natural light than in LED. Natural daylight shows the truest color, while incandescent light brings out warms tones and yellows, and fluorescent lighting casts a sharp blue tone," she says. 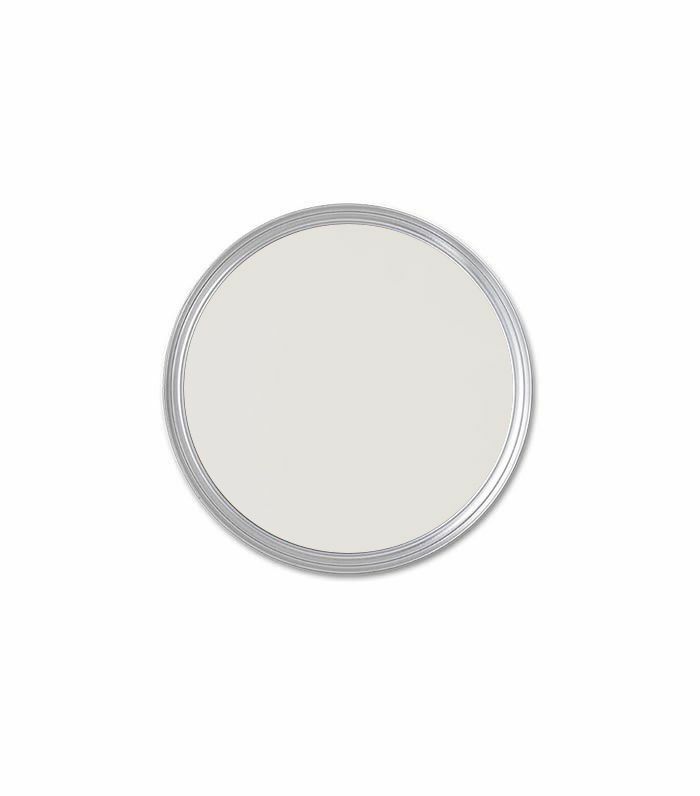 "To get a feel for how the lighting will affect your desired paint color, order a sample quart of the color and paint a swatch that is at least two feet by two feet, placing it on your wall. Look at the swatch during the morning, noon, and night to see how the color appears in the light at all hours of the day." "We can't stress enough how important it is to test colors in the space before going the distance and completing the job," says Gerardot. "Apply the paint color on the wall so you can see how the colors look not only with your décor but also in different lighting throughout the day. Testing colors in the space by using color samples is the best way to find out what color you truly love in your space." All paint experts unanimously agree on the importance of testing paint colors in a room before committing to it. "I like to start with hand-painted color swatches," says Davis. "This way you can move them around the room and tape them up to see what you like. Once I've narrowed it down to a few options I will paint samples on the wall. I like to paint in corners to see how the shadows look. Also, I find it very helpful to paint a section around the trim or door. It can be tricky to see colors in the middle of a wall, especially if you are painting on top of another color. Colors can look incredibly different depending on what they are next too. For example, a warm white might look great next to another warm color, but when paired with a cool color, it can look pink." "One common mistake I see often is selecting a paint hue before considering existing flooring, fabrics, and window treatments," says Schlotter. "It is important to first consider all the décor elements in the room as these furnishings have limited color palettes. In contrast, paint colors are virtually unlimited, and you can tint any paint color that you would like. Similarly, when trying to get a feel for how a color will look in a room, people often take paint swatches and hold them up to the wall—however, you should also hold your paint chips next to your furniture, flooring, and window treatments to see how the color will react to décor pieces in the room." "Wall paint color can tie a space together and should be one of the last colors picked for a room," adds Banbury. "Selecting a color before the furniture and accessories are in the space can narrow your selection down when selecting more permanent finishes. The existing materials in your home should always be considered during the paint selection process. Select a color that works with the existing cabinets, countertops, flooring, and furniture. A wall color should tie everything together." This story was originally published on April 17, 2017, and has since been updated.